How Social is TOO Social? 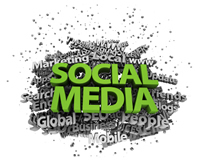 Businesses and individuals alike are excited about social media such as Facebook, LinkedIn, and Twitter. However as with any emerging technology, many questions remain unanswered about the impact on your employees and company policies. Should your company allow employees to access social networking tools from the office? Are your employees abusing this privilege at work? Many security and IT executives fear that social media is a security threat. The experience to date at companies with over 1,000 employees seems to indicate that security is a growing concern. Research indicates that the number of companies reporting social networking related security breaches is steadily rising. In fact, reports of companies having terminated an employee for inappropriate disclosures on social networking sites is also on the rise. Another concern about social media in the workplace is employee productivity. It seems only logical that an employee updating a personal Facebook page on company time isn’t contributing to workforce productivity. Indeed, more companies are choosing to block employee usage of social media with filtering technology that prevents access to social media websites. In fact, some companies are more concerned about employee time spent on social media sites than online shopping or personal e-mail accounts. Should companies ask employees to promote the company brand through social networking tools? Opinions are divided over this. On one hand, the “viral buzz” that can be generated online can have a tremendously positive impact on the company’s bottom line. On the other hand, it’s easy to damage a company’s reputation if employees are posting comments, photos, or videos without regard to company policy or ethical considerations. Regardless of your company’s position on limiting or encouraging employee use of social media during business hours, one thing is clear: Social Networking is here to stay and can have a profound impact on your business. Therefore, it’s a good idea to develop formalized social networking usage policies and ensure your company’s expectations are clearly communicated to all employees. It’s a sign of the times! Check out our related blog post “Social Media & HR – Social Media Policies” or contact info@dresserassociates.com to receive a copy of the NLRB sample social media policy and guidelines. Posted in Human Resources | Comments Off on How Social is TOO Social?